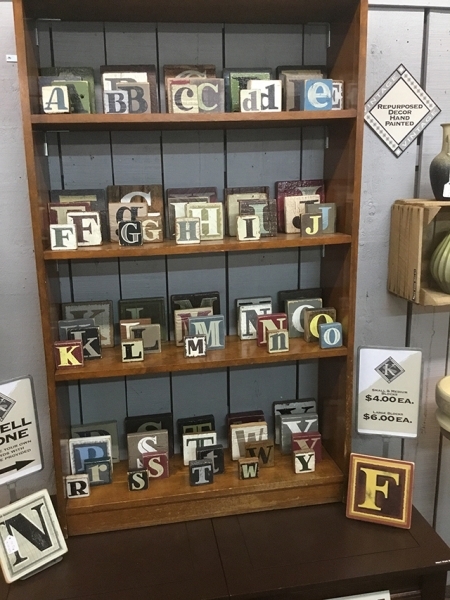 Hand-crafted letter blocks in a variety of sizes and styles. Small blocks: $4.00. Large blocks $6.00. Located in KS Vintage on the lower level.